Having just reviewed Victoria Yudin's new book this week I can say 'wow - what a treasure trove of information'. You can tell from the very beginning that the book was written by someone who knows implementing GP cold. A person could literally sit down with SQL Server and GP install media in one hand, this book in the other and install GP in an afternoon with the confidence that it has been installed properly. 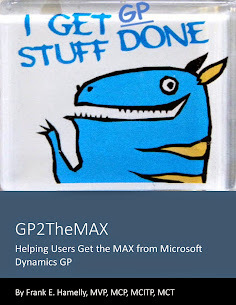 But much, much further than that, the book lays out step-by-step instructions on putting together a GP implementation team, project plan, infrastructure, SQL Server and GP configuration, data migration, user training etc., etc. Every base is covered, along with tips, tricks and traps. 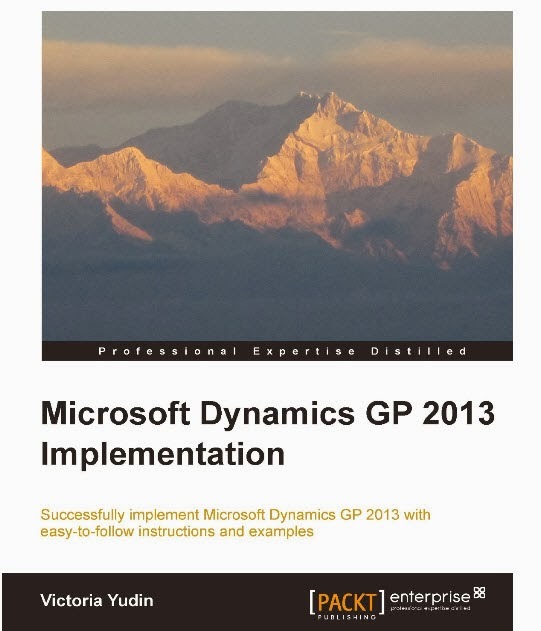 If you're even considering implementing or re-implementing any version of Dynamics GP, this publication is a must have. You can get it at Packt or any one of the booksellers below in print, ebook, or both. Another great addition to your GP toolkit. Way to go Victoria!